In my last blog, “Could the Future of IT Self-Help Be 4th Generation Intelligent Self-Service?” I wrote about getting lost in giant, one-size-fits-all IT self-service portals and the need for “intelligence” in our offerings. So, let me kick this blog off with a quick example of self-service that works. When I log onto Apple support I’m presented with the items that I own – as these are very probably what I have questions about. This is exactly what I am talking about when I talk about “intelligent” self-service capabilities. While it might look intelligent, unfortunately when I select a product and go to perform a search it looks at the full knowledge base of articles. I got 144k+ results returned on the search for “upgrade” with the top suggestion being from 2006! Somehow it didn’t assume that I wanted to upgrade one of my three Apple products shown above. Okay, so I could have narrowed the search down by extending the text in the search criteria but wouldn't it be better if the system just “expected” me to be searching for upgrades relative to one of my existing products and wanted help that is less than eleven years old? I was also offered the opportunity to chat or call, but in my case these capabilities didn’t seem to work. Thus, I was left drowning in self-help data and I gave up. 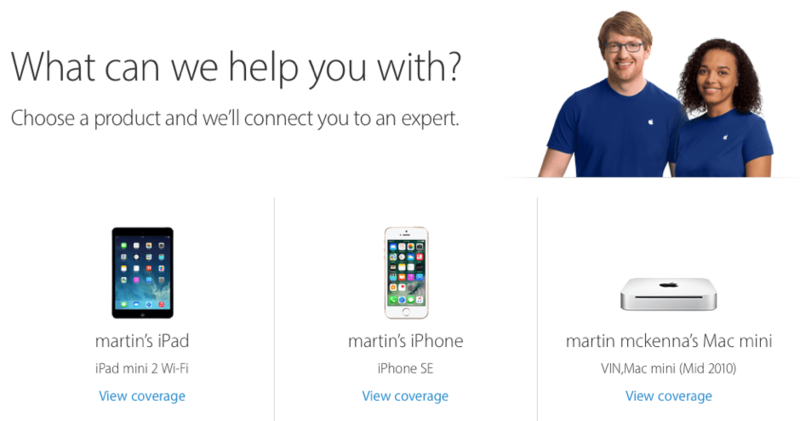 I’ll contrast my Apple experience with the support I get from GoDaddy. Here I’m actually encouraged to ring in and talk to someone. And I’d honestly say that this is some of the best technical customer service I’ve ever had. Not only do they get to the bottom of the issue, while you’re on the phone they also check over your account details/activity and proactively remove products that you may no longer be using. So, which service was better? I did have to wait a few minutes in a queue for GoDaddy, but the end result was a quick resolution. Versus no resolution with Apple. No contest, GoDaddy telephone support was a much better use of my time. 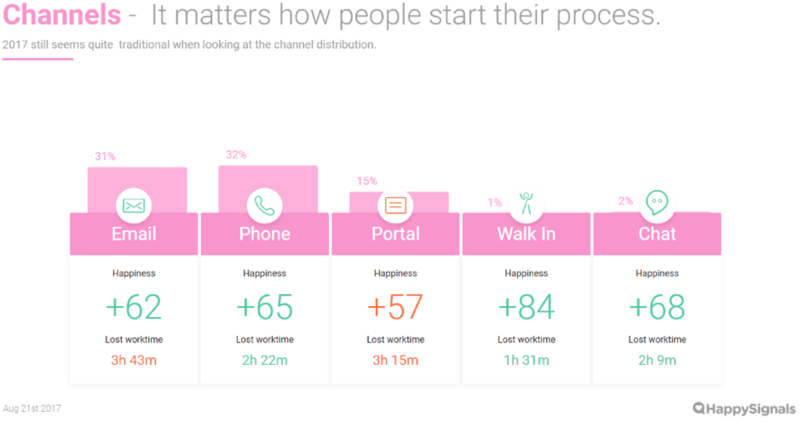 Interestingly, I came across some employee experience data from Happy Signals that seems to suggest that I’m not alone in my dissatisfaction with self-service portals (although this data relates to internal IT support). It shows that the happiness score is by far the lowest with a self-service portal. This alone is worrying, but the second shocking statistic was the lost work time (across the different contact channels). Making a phone call is almost an hour quicker than attempting to use self-service and the good old walk in, although only 1% of activity, rates the most effective by a country mile. There are lots of questions to be asked about how this data was gathered, what the questions were, and who was filling in the forms – but at a glance I could see that this is based on over 100k responses. How does this all stack up? Are we ignoring customer happiness and the time our users take to get an issue resolved in favor of saving IT time and money? Does this make financial sense to the business (as a whole)? Can this be improved with better self-service? Can it really be done and what would it cost? I’m intentionally leaving this blog open to comment as there’s a debate to be had, and I’m sure some great advice and opinions. I’ll attempt to gather all of these together and produce a paper/discussion document. If you’d like to contribute you’re most welcome to comment below. Over 30 years ago Martin McKenna joined Mitsubishi Electric’s Technical Services Group working on their Help Desk. He went on to manage the team and even created a basic service desk tool in DB2 before ‘real’ products were available. Since then he has been a product specialist, implementation consultant, trainer and project manager. 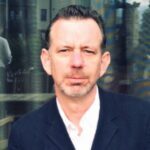 He then moved into Account Management and Sales with Royal Blue/Touchpaper/LANDesk and worked on some of the largest, award winning, service desk software implementations in the UK. Nowadays Martin is the Events Director at it500 Ltd running events such as IT in the Park, plus other ITSM conferences in Scotland and can be found regularly blogging on LinkedIn. He also holds an MSc in IT and is in the process of writing a couple of books. There’s lots of ITSM tool implementation advice out there, But if you want something closer to the action, here are 5 tips from a practitioner. Why and how corporate IT should use "service safaris" to get up from their desks to witness customers’ IT and business realities firsthand.